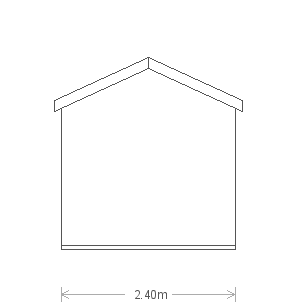 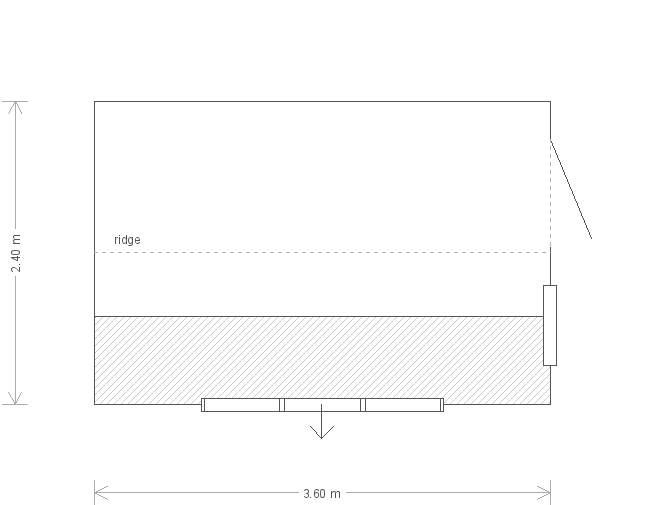 This Superior Shed has an apex roof, with a single door and a window in the front gable end, and a set of three windows on the right-hand side, one of which can be opened. 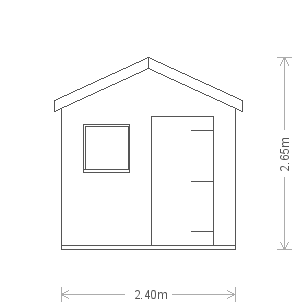 The apex roof has been covered in our heavy duty, torched on felt, and the shed has been painted in our Sikkens timber treatment in Teak. 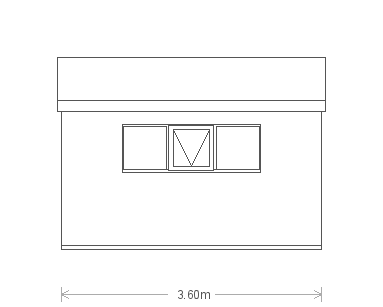 A security pack has also been installed, and inside the Superior, there is oak faced ply lining on the walls, insulation in the walls and ceiling, and a 3.6m long workbench underneath the windows.